Many people think that trauma means that you were sexually abused, and that Post-Traumatic Stress Disorder (PTSD) only applies to those who fought in a war or managed to live through a natural disaster. Those events are traumatizing, but there are other things that our body and our senses interpret as traumatic, such as events in our childhood or experiences we've had as adults in our relationships with other people. Sometimes traumatic events happen socially. These negative events in our life can be interpreted as traumatic because of a violation of trust that occurs during and after those events. All too often, this happens with caregivers or authority figures: People we trusted and who were supposed to take care of us. I call this interpersonal trauma. Perhaps you were bullied at home by an older sibling, or even a parent. The people who were supposed to be the ones to support you may have been the people who caused you harm. It's likely that, as a result, you don't feel safe in relationships. Or maybe a family member or loved one died suddenly. 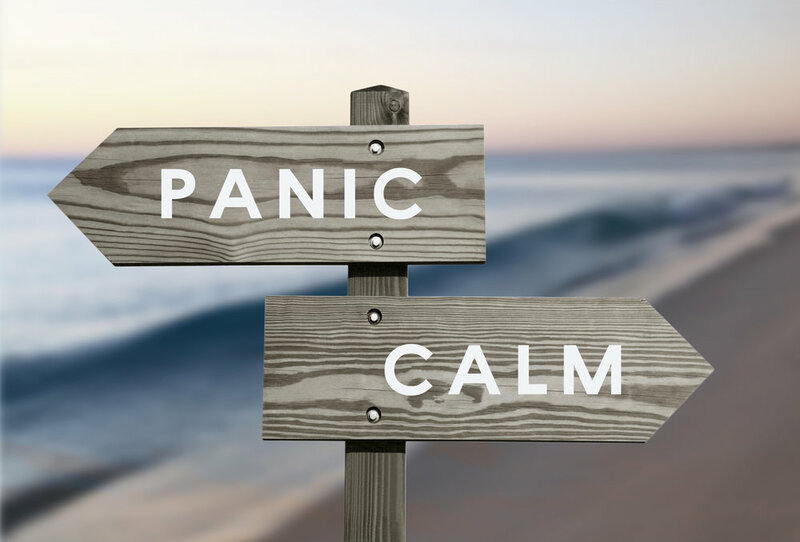 You may be experiencing traumatic grief, where your emotional experience of the event stays with you to the point where it is incredibly stressful. Let's take a look at how something happening in present day can be linked to events from the past. For example, say someone grew up with a verbally abusive father who used to clear his throat very loudly before he would yell/intimidate the family. Fast forward to 15 years later, and that person now has a new boss who has a habit of clearing his/her throat in the same way their dad did as a kid. This individual starts to sweat at work, becomes incredibly anxious and doesn't know how to cope with the reminder (trigger) of this sound. How can it be that 15 years have gone by and it still bothers him/her? This is the perfect example of how past experiences can affect current experiences, and how trauma lives in the body for years. The body/brain are interpreting this sound as dangerous, even though there is no danger. It's also important to understand that the trauma didn't have to actually happen to you to have an impact on you. For example, you could have watched your siblings be the focus of abuse or neglect, and now your body and brain have taken it in as if it happened to you directly. It can be scary and confusing. The one thing I want to convey is that trauma is irrational. What I mean by that is it may not make sense for us to be anxious or have these intense responses but they happen. They happen despite us reminding ourselves that these behaviors don't make any sense; therefore, trying to think rationally about how these events have impacted you may leave you with no relief and feeling down about yourself, maybe even blaming yourself for "not getting over it already". This may have even been your experience in therapy before. Therapists who only use certain types of therapy such as CBT may be asking you to think rationally about your traumatic experiences, which can sometimes make you feel worse. I'm here to tell you it is not your fault and there is a way out. I am a therapist who specializes in trauma, specifically interpersonal trauma, and I am certified in a highly effective form of therapy called EMDR, or Eye Movement Desensitization and Reprocessing. EMDR is a therapy that allows the right and left side of your brain to communicate with one another. This allows for you to re-experience the events that are troubling you in a quick and safe way in my office. It helps to get the impact of the memories/events "un-stuck" so you can move forward in your life. EMDR is different from talk therapy. It works quickly to provide relief from past events. Our bodies know how to naturally heal with the right tools in place. It is important to know that not every therapist can do EMDR. You need specialty training to understand this type of therapy. The main goal of EMDR is to get back to feeling safe: Both in social situations as well as feeling safe in your body. When I say "safe in your body" I mean not being fearful of your trauma symptoms anymore (i.e.- anxiety, panic attacks etc.). PTSD is categorized as an anxiety disorder. This is because anxiety and panic are the main symptoms people with PTSD often experience. The same physiological response happens in your body and brain. Therefore, if you think you have issues with posttraumatic stress, you are likely experiencing anxiety. Understanding anxiety and how it works in your body then becomes an important part of healing trauma.